This is a very pretty and substantial character family house which has been very well . . . This is a beautiful and very spacious property, built in 1785 and retaining all of its . . .
Great village house, that has lots to offer!! 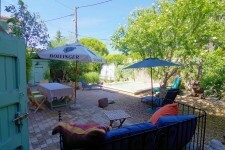 In a vibrant sought after village near the beautiful Canal du Midi. The house is situated in a quite corner of the village. Perfect for a family home or a . . . This townhouse is situated on a peaceful road and yet easily walkable to all the amenities of . . . This gorgeous 4 bedroom stone house in in Argens, a pretty village by the Canal du Midi with . . .
Gorgeous stone Remise with a garden and stunning views. Ready to be made into an amazing home. In a beautiful Hamlet minutes from 2 villages with shops, bars, restaurants, doctors, bank, . . . This is a large and gracious village property with a classic stone facade. It lies central to . . .
Former winegrowers house built in 1820 and completely renovated between 2005 and . . . This lovely village with amenities is near Narbonne, Lézignan-Corbières and Olonzac, and is . . .
Offers are invited for this large house with fantastic living space as well as 5 bedrooms and . . . Looking for a lovely little fresh modern light holiday home with sunny outside space, . . . Fantastic house in a sought after and vibrant village of Fabrezan in the Corbières. Fabrezan has everything you need and more, a your amenities throughout the year. 6 superb . . . This traditional French village house lies on a pretty tree lined street and is set over 3 . . .